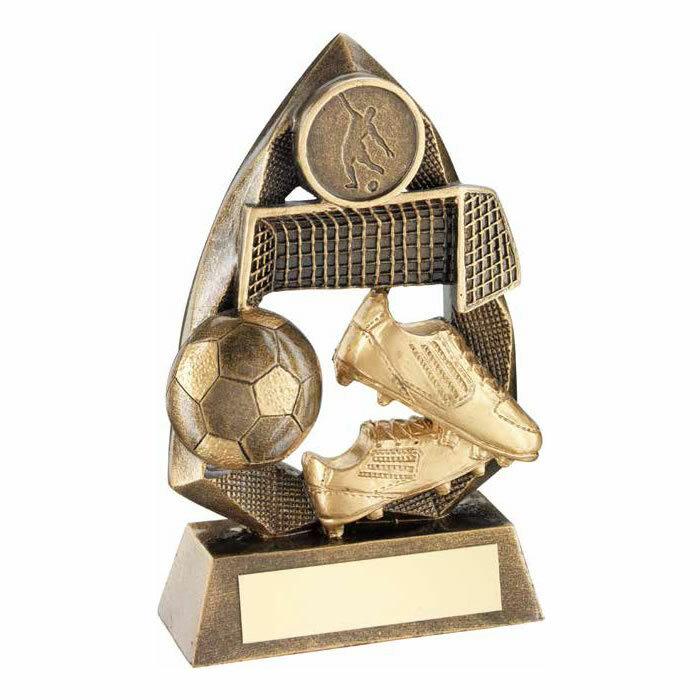 These versatile football trophies are suitable for a wide range of football awards and achievements, and for both men's and women's awards as well as children's football awards. Crafted in durable resin with a bronze and gold colour finish, they feature a detailed football scene with goalposts, boots and ball along with a 1in centre all mounted on a bevelled base with engraving plaque. Available in three size options.